Having an aquarium is a wonderful hobby that the entire family can share and enjoy. Its not an inexpensive hobby but it is one that will bring priceless hours of shared time with your children. In todays stress filled world there is no such thing as too much relaxation and enjoying an aquarium is one of the most relaxing past times imaginable. The soft light, brilliantly colored fish and quiet hum of the filter are known to lull even the most stressed out individual into a totally peaceful and relaxed state of mind. You may not be able to write it off on your taxes BUT adding an aquarium to your environment might lessen some of the visits to a therapist! 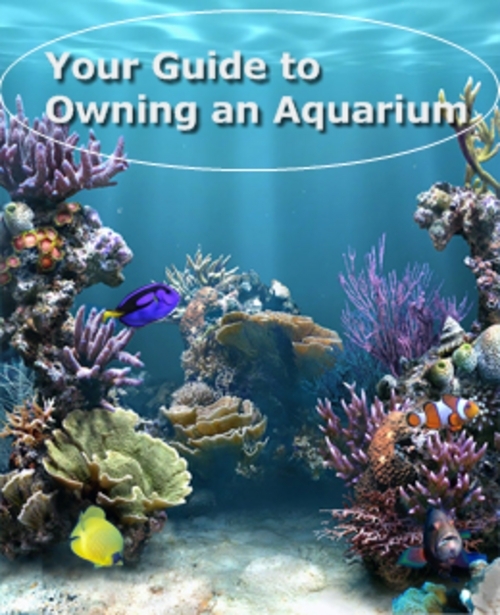 Your Guide to Owning an Aquarium really is just what you need to create your own aquarium AND capture those vacation memories. Remember, before you start arm yourself with knowledge. Take the first step, grab your copy now and launch your new hobby tomorrow! 	Learning About What Fish to Buy All fish are not created equal. Learn the dos and donts about selecting just the right fish to meet your needs. 	Feeding Your Fish Remember, this is not your childhood goldfish. Selecting the right food is the difference between life and death for your aquatic pets. 	What Are Invertebrates Learn more about our spineless friends! 	Choosing the Best Aquarium How to create the best home for your fish and get it set up properly. 	Heating and Lighting Your Aquarium Too much? Too little? Must-have knowledge to insure the safety of your fish. 	All About Filters We just cant seem to get away without doing housework and that applies to your aquarium as well! 	Accessories to Delight Your Fish Feng Shui for fish? 	About Saltwater Its salty, right? Well, yes but it isnt that simple. 	Then there is the technical stuff like the Nitrogen Cycle and Algae. 	Fish Diseases and Treatment Catching it early is key! 	Fish and Invertebrates to Avoid Yep, even fish have trouble with some of their neighbors.